The Division of Microbiology was established in 1961 by merging the units of Soil Microbiology of the Division of Soil Science & Agricultural Chemistry and Algology of then Botany Division. 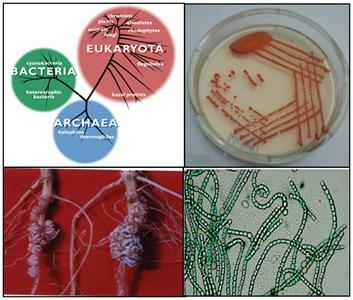 The focus of the Division is on basic, applied and strategic research on microorganisms of agricultural importance. Since its inception, the Division has contributed extensively on the isolation and selection of nitrogen fixing- and plant-growth promoting microorganisms for legumes, cereals, millets and oilseed crops. The standard protocols for mass production of bacterial (Rhizobium, Azotobacter, Azospirillum and phosphate solubilisers), cyanobacterial (blue-green algal bio-fertilizer for rice) and arbuscular mycorrhizal inoculants for various crops have been developed. Effective microorganisms for composting and their quality control parameters for their mass production are available. Mass production of Rhizobium inoculants for pulse crops was initiated in the late 1960s. The Division continues to be the prime centre for production and distribution of microbial inoculants of high quality, and for formulation of standards by the Bureau of Indian Standards (BIS) for testing microbial cultures for efficiency and purity of manufactured inoculants. The Division of Microbiology is the national lead centre for advancing knowledge and understanding of the microbial domains for agricultural application.The blue sky research of the Division includes utilization of microbial gene- and metabolite pool for plant growth promotion as well as protection, natural resource management and value addition of biomass through microbial means. More importantly, the Division contributes to the human resource development. The faculty of the Division offers teaching and research guidance for both national and international students for their master's and doctoral degrees. 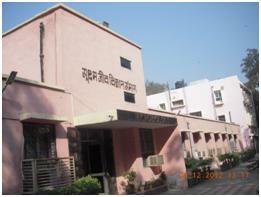 The Centre for Conservation and Utilization of Blue Green Algae (CCUBGA) is affiliated to this Division.The CCUBGA, the National Facility for Rhizobium Germplasm Collection and the Azolla germplasm collection within the Division are the major provider and storehouse of the national microbial wealth. To undertake research, teaching, and extension in the field of beneficial microorganisms. To serve as the lead centre in the country. To decide national priorities for Agricultural Microbiology.